Check out some of the latest and greatest yachts that made their debut in Fort Lauderdale. The 56th annual Fort Lauderdale International Boat Show brought a cavalcade of new boats arriving in U.S. waters for the first time. Debuts from Hargrave, Ferretti, Princess, Horizon and Hatteras were turning heads in the 70- to 100-foot range, bringing superyacht-quality features to the midrange motoryacht market. 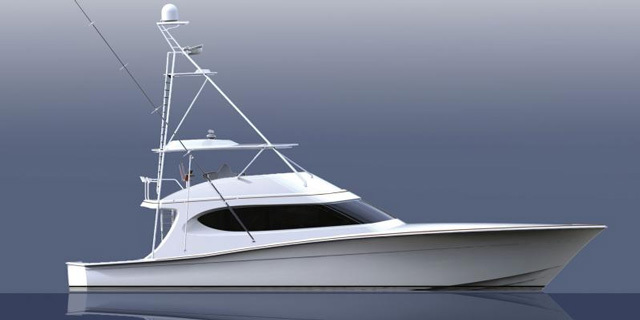 Here’s a look at each builder’s newest boat. Fort Lauderdale-based Hargrave Custom Yachts is in its own backyard at this boat show, and like any smart home team should, Hargrave planned to dominate. Among the nine yachts at the Hargrave display was the 101 Raised Pilothouse Cutting Edge, making her world premiere. 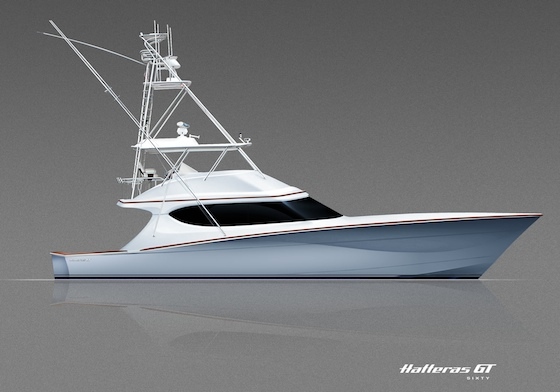 This Hargrave 101 was designed for the "ultimate American yachting experience." Cutting Edge was designed to provide what Hargrave calls “the ultimate American yachting experience.” The builder’s craftsmen worked with Shelley DiCondina of Yacht Interiors by Shelley on new ideas in space planning, materials, fabrics and creature comforts when fitting out the four-stateroom yacht. The layout includes a large country kitchen-style galley (because Americans are always in the kitchen) along with brand-name appliances, engines and systems like General Electric, Caterpillar and Naiad that Americans know well. The Riva 88 Florida tops 40-knot speeds with her optional engine package. The Riva 88 Florida’s styling and design are unmistakably Italian chic, including the innovative convertible top inspired by automobiles—appearing for the first time on this model. 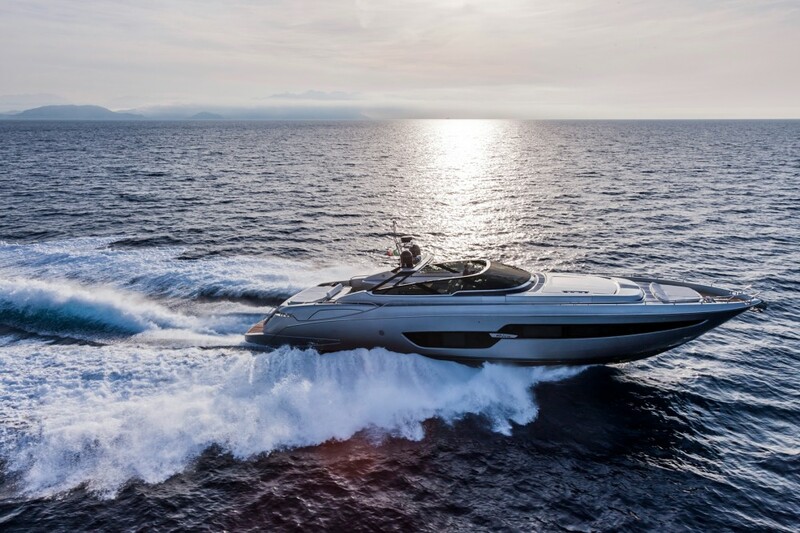 Riva also created a new color it calls moon gray for the yacht’s light metallic hull paint, contrasting with details in a color called bright black. Inside, four staterooms and other guest areas have a décor inspired by the late 1980s and ’90s, when iconic Riva models like the Bahamas dominated. Look for a luxurious finish on the elm woodwork, which is surrounded by accents done in steel, leather and lacquered materials. 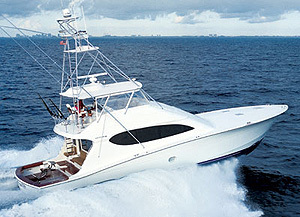 The Princess 88 Motor Yacht made her North American debut in Fort Lauderdale within a display of a dozen Princess models. 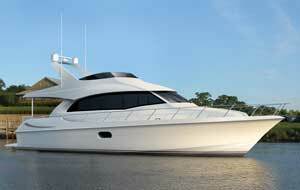 The 88 is part of the builder’s flybridge class, which ranges from 43 Flybridge up to 98 feet length overall. 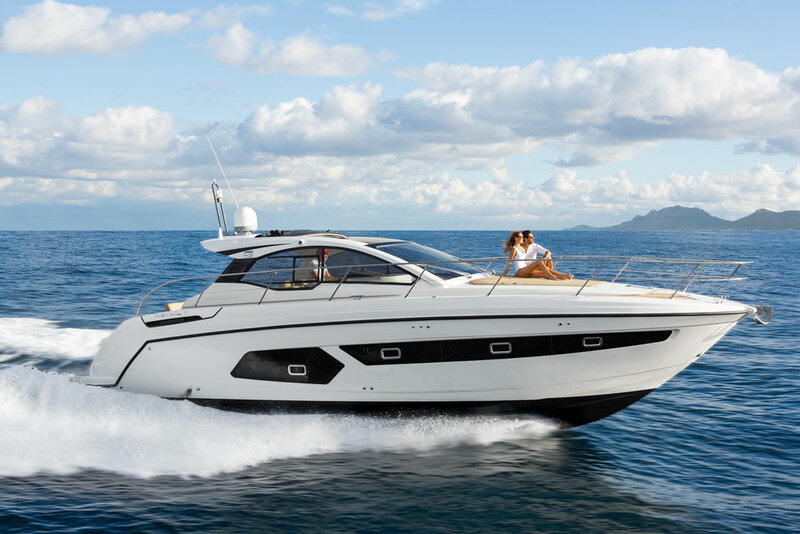 Princess promises “breathtaking performance and agility” in the new model and is offering three engine packages: twin 1,822-mhp MTU 12V 2000 M93s for a top speed of 28 knots, twin 1,825-mhp Caterpillar C32As for a high end of 28 knots or twin 1,925-hp Caterpillar C32As for a full-throttle 30 knots. 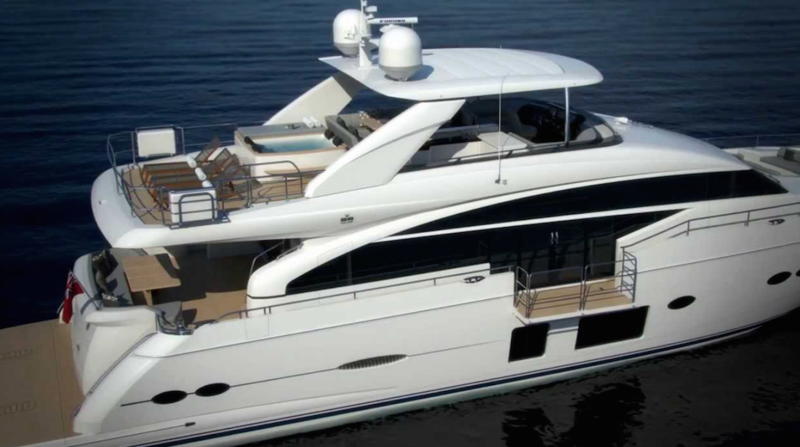 A foldout balcony creates a true indoor-outdoor experience on the Princess 88 Motor Yacht. In a nod to megayacht-style features, the Princess 88 Motor Yacht has a salon balcony that opens over the sea at the push of a button, creating a truly indoor-outdoor experience. Belowdecks, owners can choose layouts with four or five staterooms. Crew quarters are aft, fully separated from the guest accommodations. 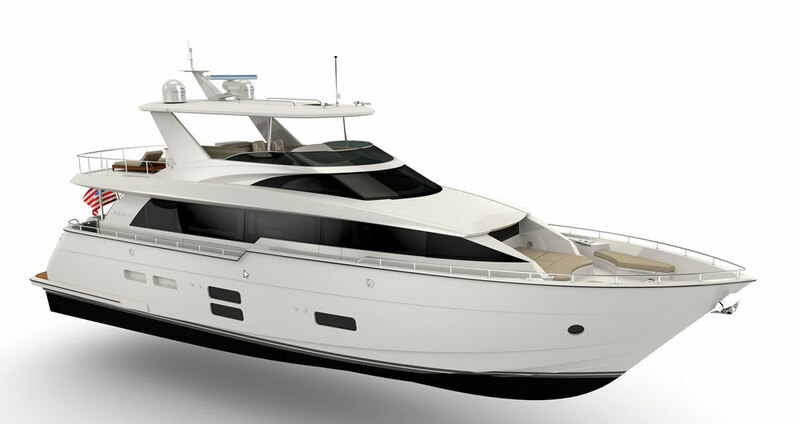 Horizon Yacht USA premiered its E88 Open Bridge at the Fort Lauderdale International Boat Show. Despite her model name, she actually has a 94-foot length overall, along with a 21-foot beam that allows for a quartet of generously sized staterooms belowdecks. Her sleeping arrangement is ideal for families, with two larger staterooms for couples along with a pair of twin-bed cabins for the kids. Note the H-shaped window cutout on the Horizon E88 Open Bridge. 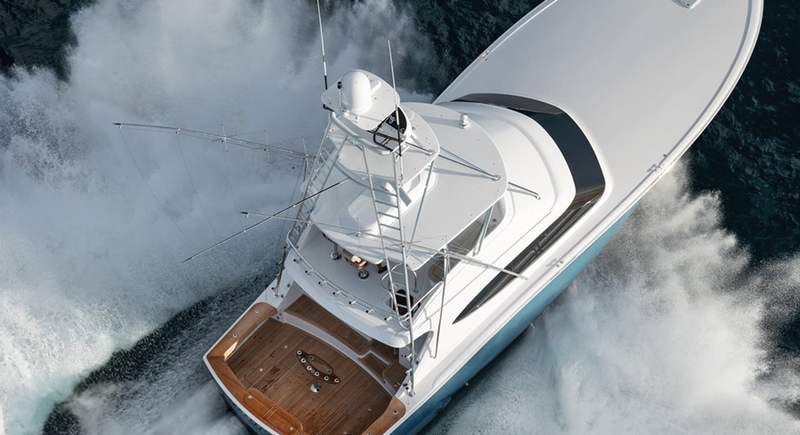 The E88 Open Bridge has a number of features noteworthy for a yacht in her size range, including zero-speed stabilizers, an open and air-conditioned flybridge, and a hi-lo swim platform that opens into a “beach club” space inspired by the ones aboard superyachts. 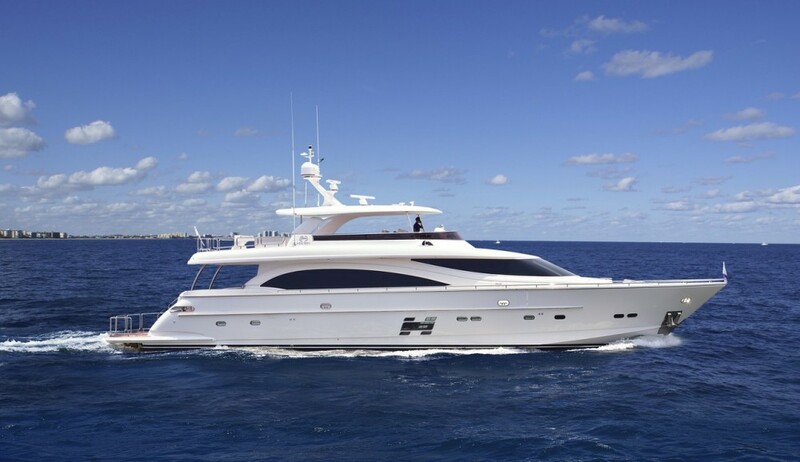 The Hatteras 70 Motor Yacht debuted in Fort Lauderdale is a midrange addition to a line that already includes the Hatteras 60 Motor Yacht and the Hatteras 100 Raised Pilothouse—which we named one of the Top 10 Cruisers of 2013. In the new 70, the builder wanted owners to have big-boat space on the flybridge, which has several seating and sunning areas. 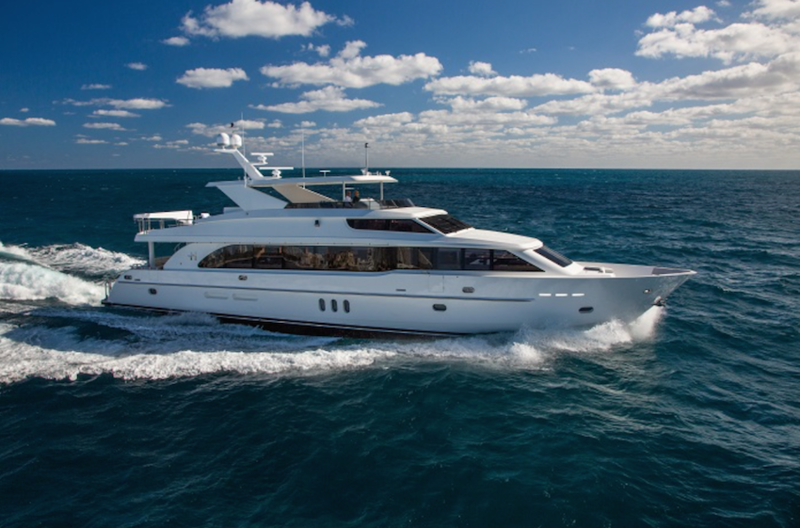 The interior on the Hatteras 70 Motor Yacht has contemporary styling and world-class views. That feeling of spaciousness continues in the 70’s interior, which has an open-concept saloon and galley level surrounded by panoramic windows. Whether you’re sitting on the sofa or standing at the fridge, the views of the outdoors span 360 degrees. 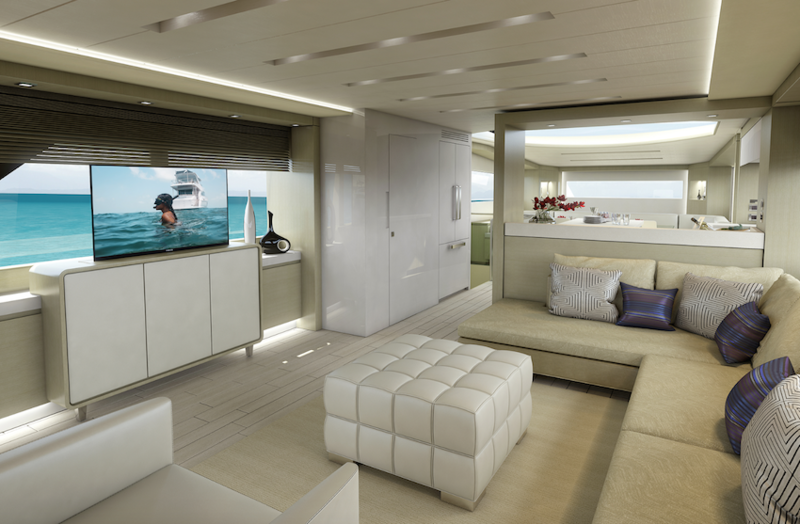 Hatteras is willing to customize a good bit of the décor, too, giving owners even more of a megayacht-style experience. 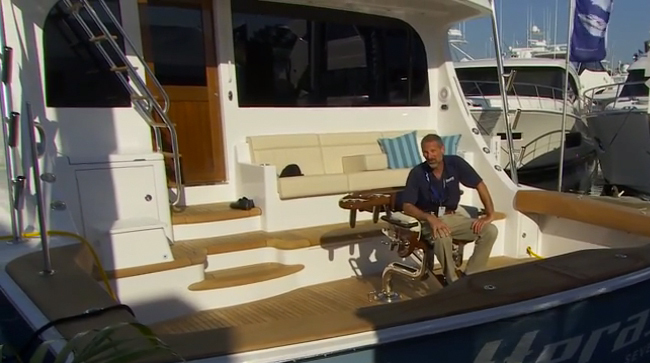 Get a look inside the Hatteras 70 in this First Look Video. You wish you could have been at the show, but just couldn't make it? Stay tuned: we'll be bringing you many more First Look Videos and reviews of newly-introduced boats from Fort Lauderdale, in the coming weeks..